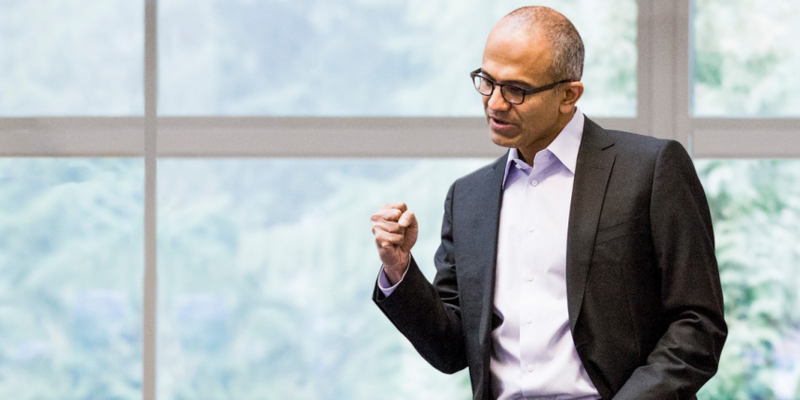 It was with those words that Microsoft CEO Satya Nadella sought to prepare his team for fiscal year 2015, the remarks following a lengthy period of decline in prestige for the global brand as it fell out of step with reigning tech giants like Facebook and Google. To BitPay chief commercial officer Sonny Singh, Microsoft’s decision to embrace bitcoin is part of the company’s campaign to change this perception. While the Washington-based company has only added bitcoin as a payment option for US digital goods consumers, Singh suggested Microsoft is already preparing to move aggressively to support the emerging technology. Singh indicated that the Microsoft team has made it clear that they are serious about supporting bitcoin through both words and actions. Microsoft is reportedly enthusiastic about bitcoin “from the top down”, according to Singh. The former VP of sales at Jumio further indicated that Microsoft moved fast to integrate bitcoin in time for the holiday. Microsoft accounts can now be funded with bitcoin and used to purchase apps, games and videos on its Windows, Windows Phone and Xbox platforms. Singh’s remarks are further supported by a blog post issued by Microsoft today, in which the company indicated that by allowing consumers to use bitcoin for purchases, it hopes to be “at the front edge” of the technology’s proliferation. Singh indicated that the BitPay executive team first met with Microsoft in Seattle three months ago, where they conducted a two-hour conversation with its executives, product specialists and engineers. He went on to suggest that integrations were completed directly following the meeting, “before the contracts were even done”. Work then proceeded through the November holidays, with contracts being signed and KYC due diligence completed. Singh stressed that he was impressed with Microsoft’s speed, calling its drive to follow through on the initiative “very impressive”. “They wanted to get the digital goods piece out for the holidays, Xbox is obviously a big holiday gift item,” he said. While Singh indicated that Microsoft intends to integrate bitcoin as a payment method as part of “phase one” of its larger plans, he suggested the company is also interested in the underlying innovations that support bitcoin and its global transaction network. Singh affirmed his team intends to work closely with Microsoft as it seeks to expand its interest in the space, noting BitPay’s presence in Europe, North America and South America. CoinDesk has reached out to Microsoft for further comment.